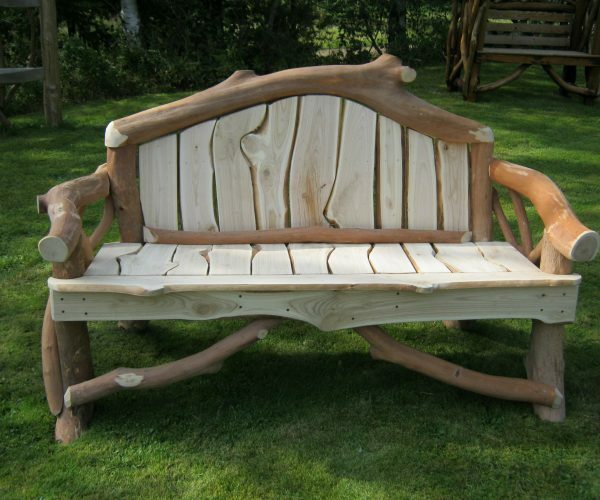 In order to create this beautiful Natural Lath Three Seater, each lath has been cut to follow the natural edge of the adjoining one, to make a unique and beautiful garden creation. This type of lath can also be used on our No.1, No.2, and No.4 seats at an extra cost. Please contact us regarding price.